The scapula is a flat triangular bone and consists of three processes: the glenoid process, the acromial process, along with the coracoid process. The lateral angle of the scapula is represented by a shallow, somewhat comma-shaped glenoid cavity, which interconnects along with the head of the humerus in order to create the glenohumeral joint. • The glenoid process consists of the glenoid cavity as well as the glenoid neck, which comprises of the glenoid rim and glenoid fossa. • The glenoid cavity is excavated and enlarged superficially through a fibrocartilaginous collar known as the glenoid labrum, which attaches to the margin of the fossa. • Superiorly, the tendon of the long head of the biceps brachii muscle, which attaches to the supraglenoid tubercle is constant with this labrum and travels superior towards the head of the humerus via the articular cavity. • The large spherical head of the humerus and the small glenoid cavity of the scapula are the articular surfaces of the glenohumeral joint. Each of the surfaces is enveloped by hyaline cartilage. • The convex humeral head articulates with a firm concave surface which is given by the glenoid cavity. The articular cartilage has the average depth of 5 mm. The involvement of the glenoid rim or the glenoid fossa and the direction of the fracture line is the basis of glenoid cavity fractures. 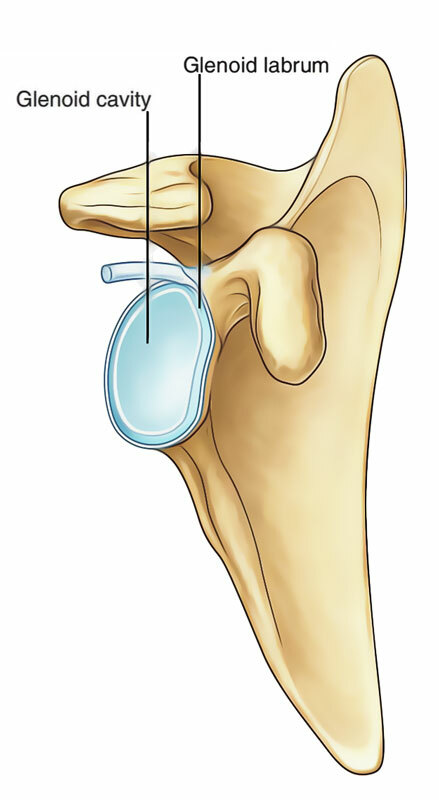 Functionally similar to the acetabular labrum found in the hip joint, the glenoid labrum is a ridge of fibrocartilage located at the boundary of the glenoid cavity. 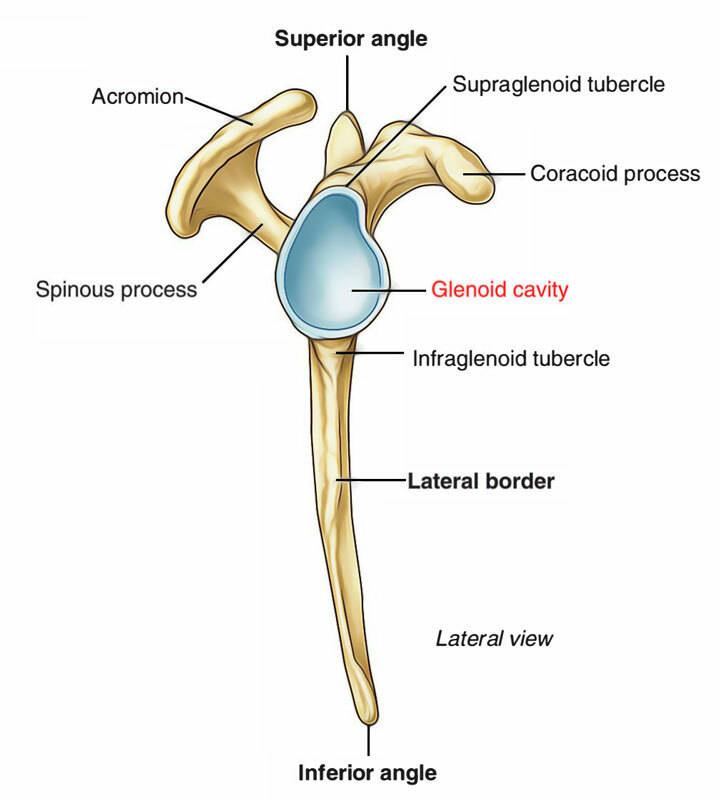 The glenoid labrum is thicker around the circumference compared to the centre. It increases the size and deepness of the glenoid cavity, along with the contact area amongst the articulating surfaces of the humerus and scapula. Therefore, the glenoid labrum plays a vital role in increasing joint stability, along with decreasing joint stress and friction. Which bone does the Glenoid Cavity belong to? 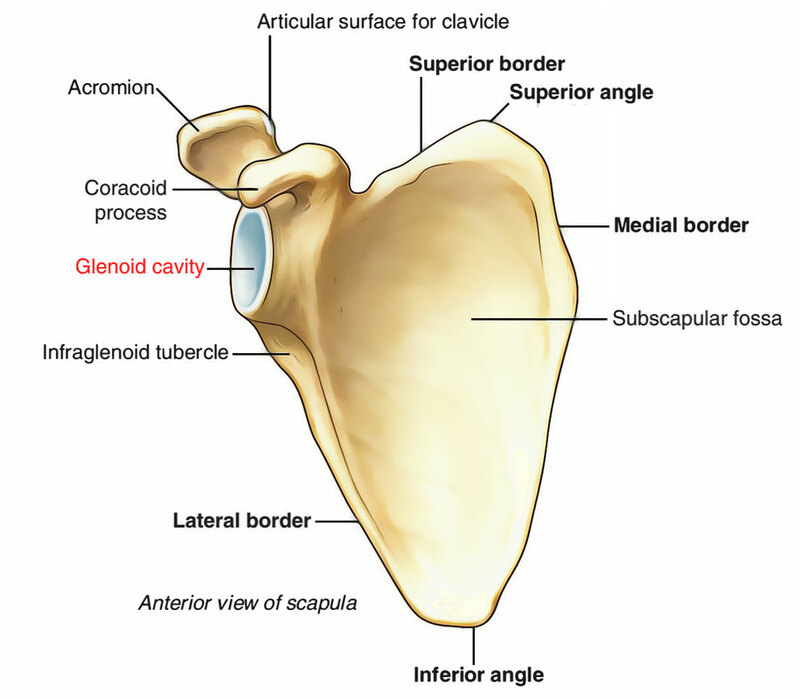 Which joint is made by the help of glenoid cavity? The head of the humerus and the glenoid cavity of the scapula are the articular surfaces of the glenohumeral joint and each surface is surrounded by?